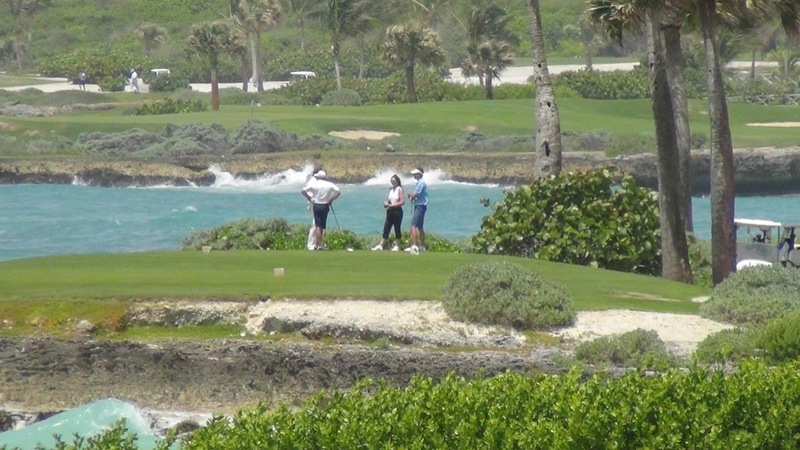 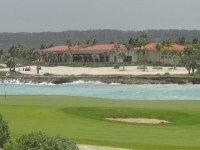 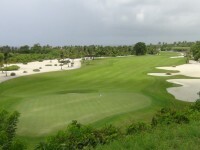 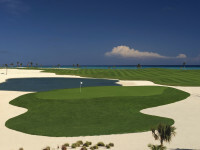 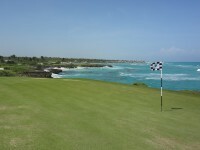 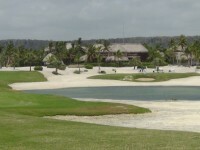 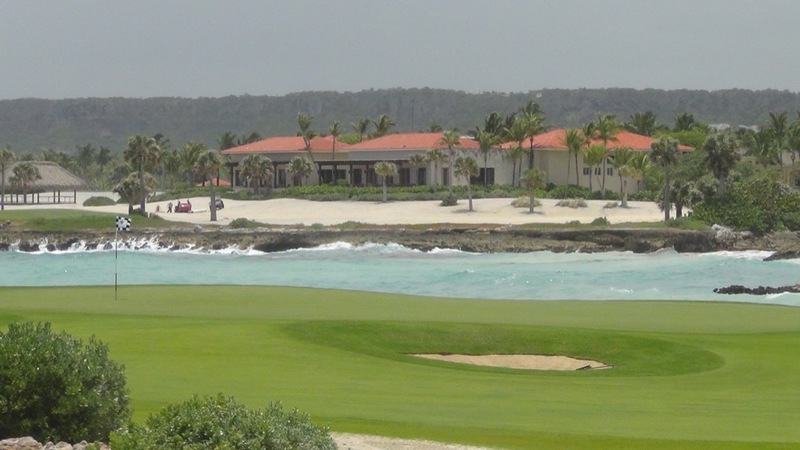 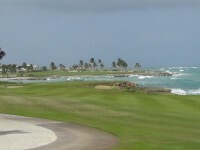 Punta Espada Golf Club at the Dominican Republic’s Cap Cana Resort was built by Jack Nicklaus in 2006 and was the great man’s first Dominican design. 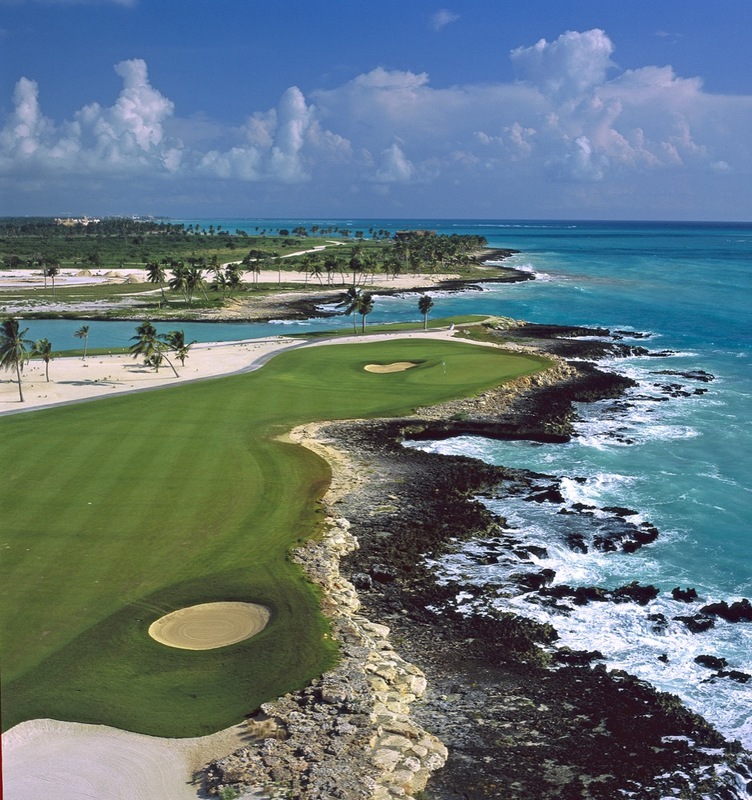 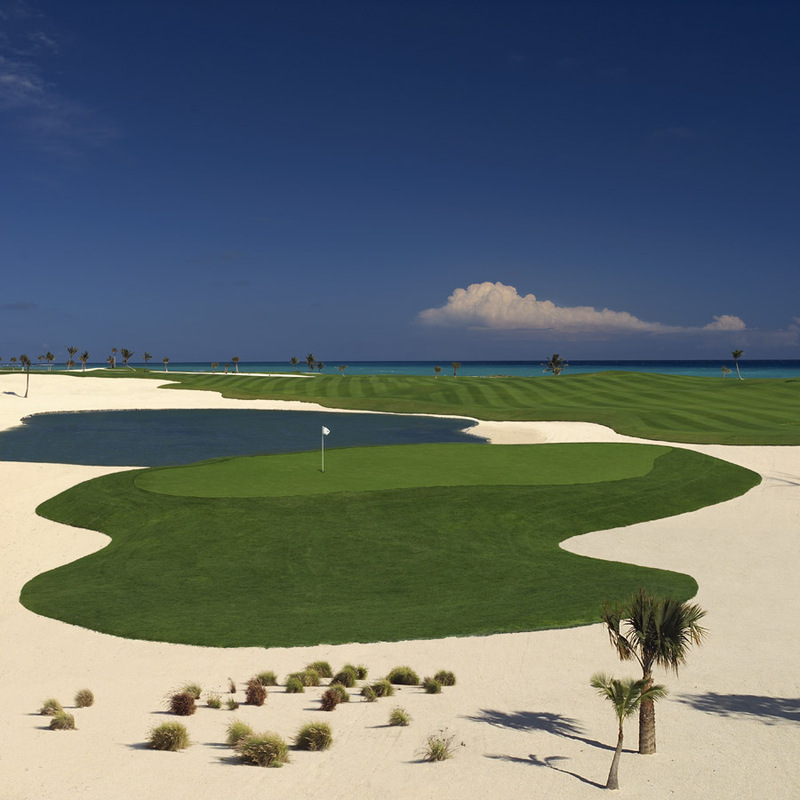 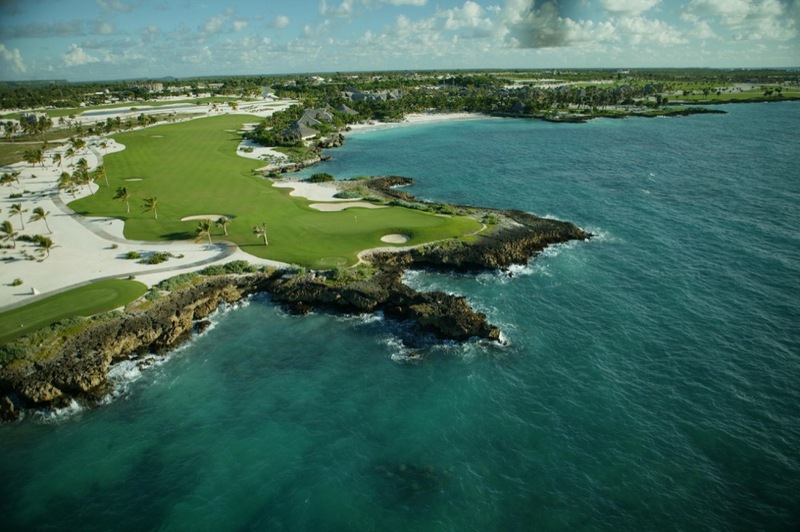 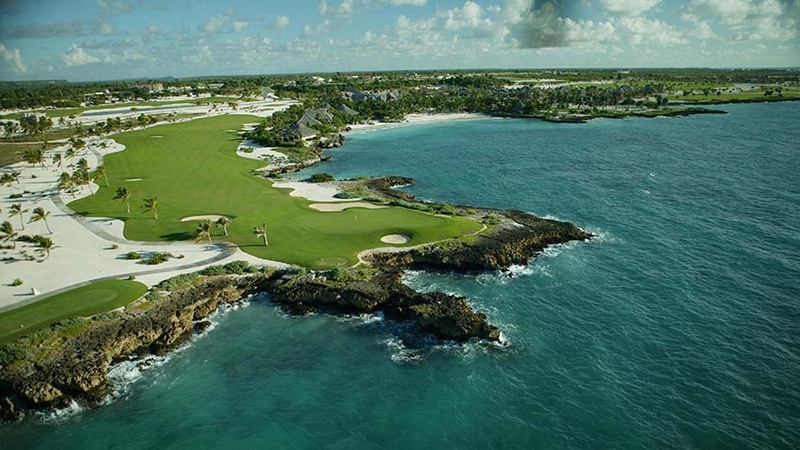 Nicklaus must have taken inspiration from his self-proclaimed favorite course, Pebble Beach, which is often described as “the greatest meeting of land and water in the world.” Because, the same can easily be said for Cap Cana’s Punta Espada Golf Club! 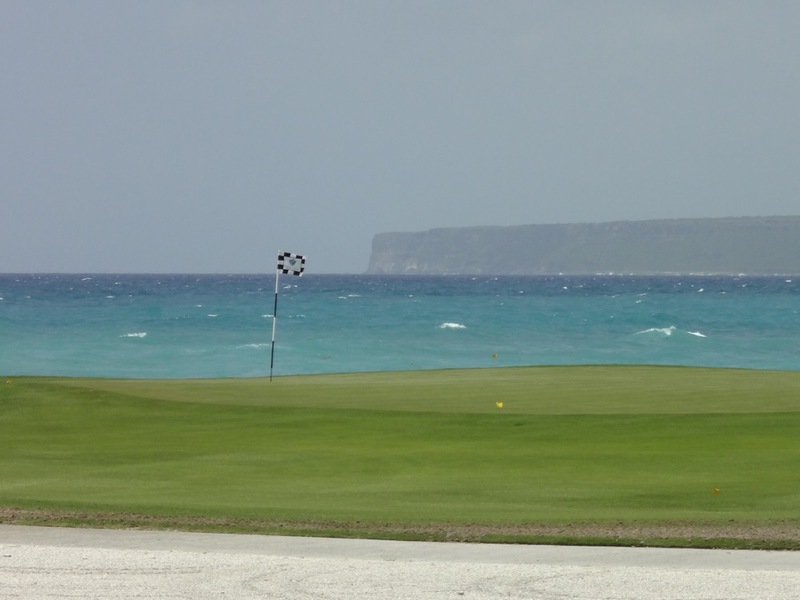 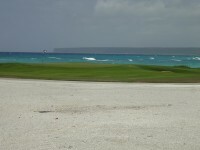 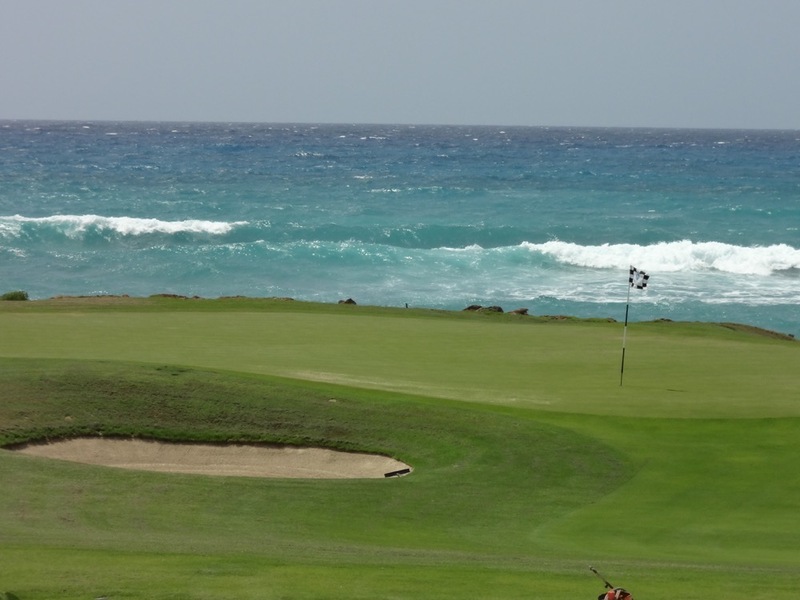 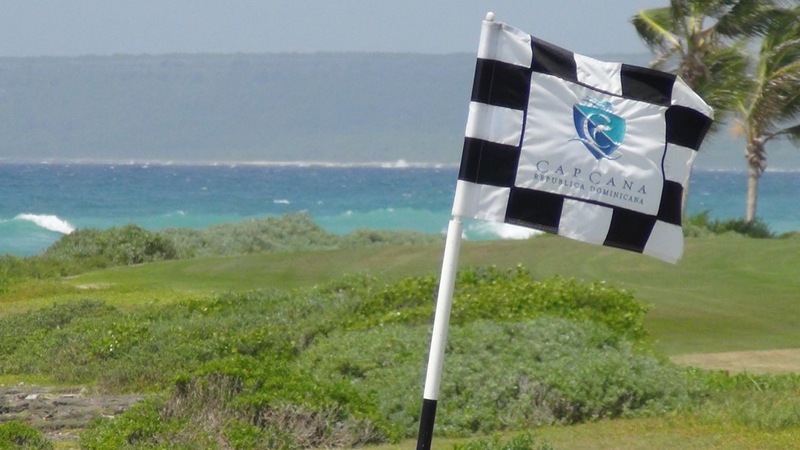 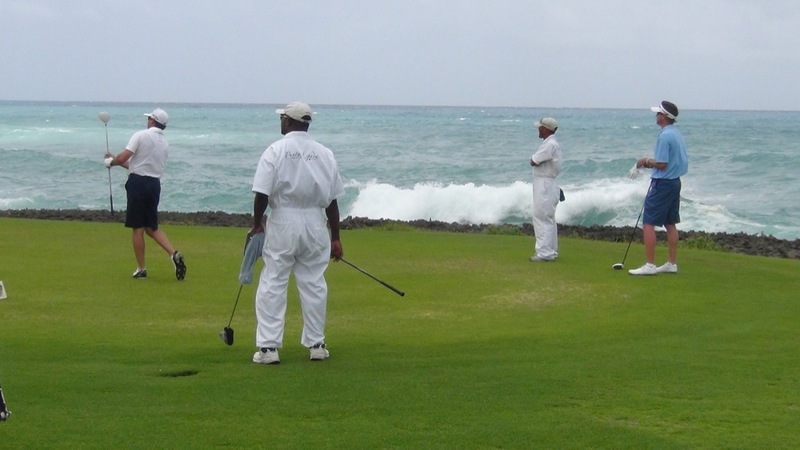 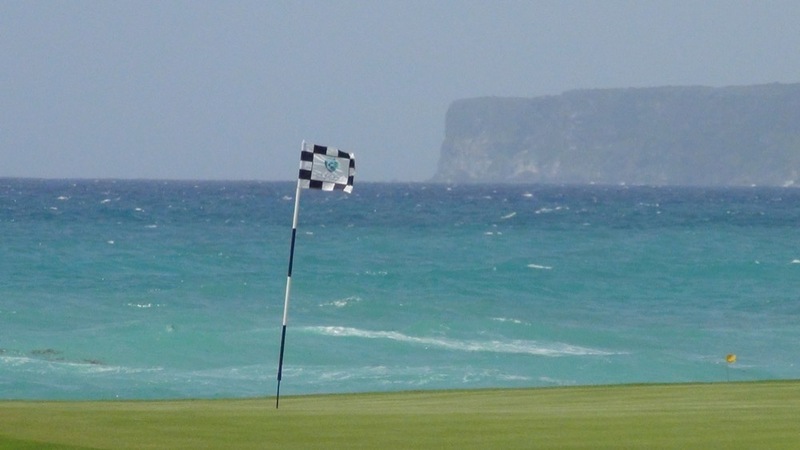 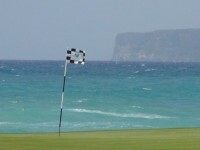 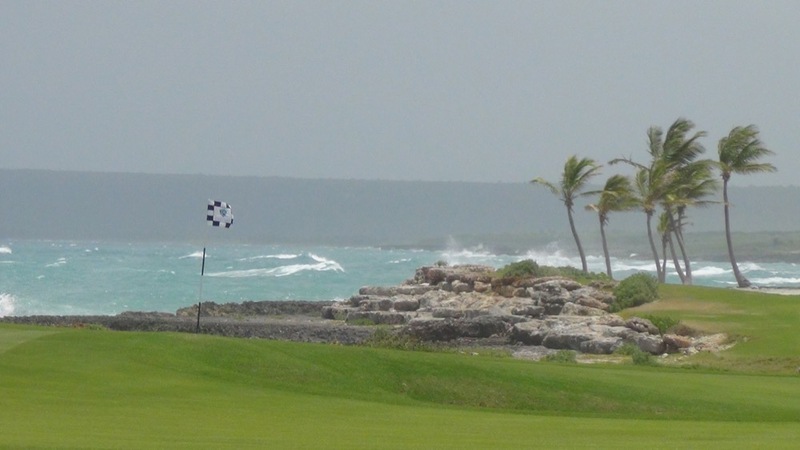 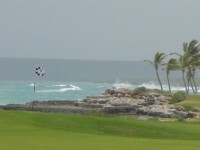 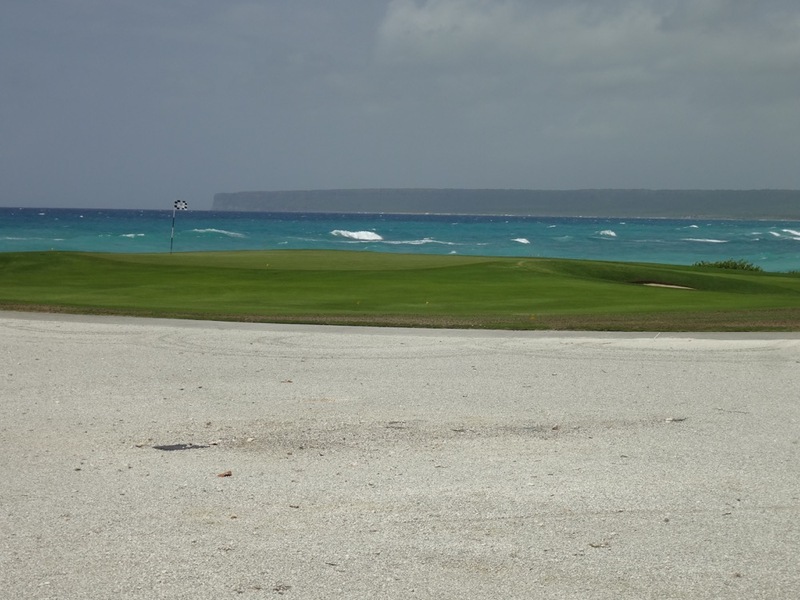 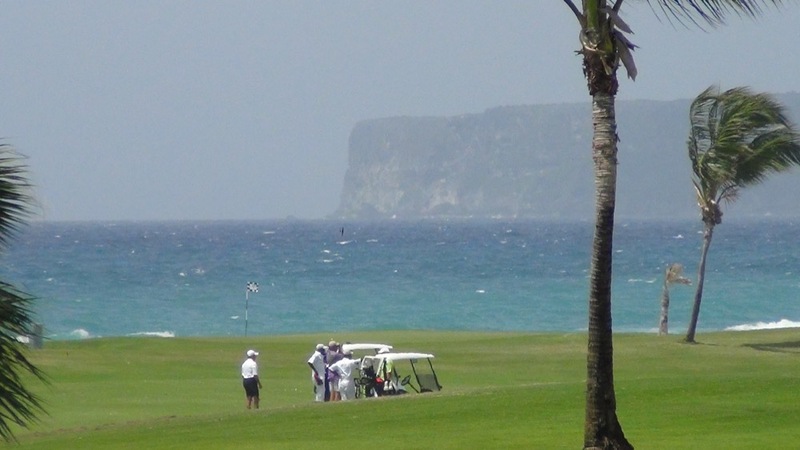 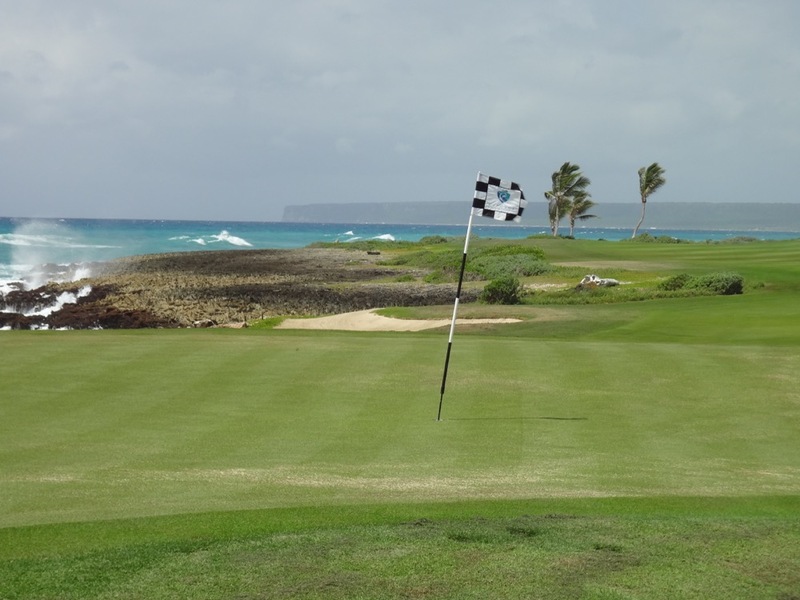 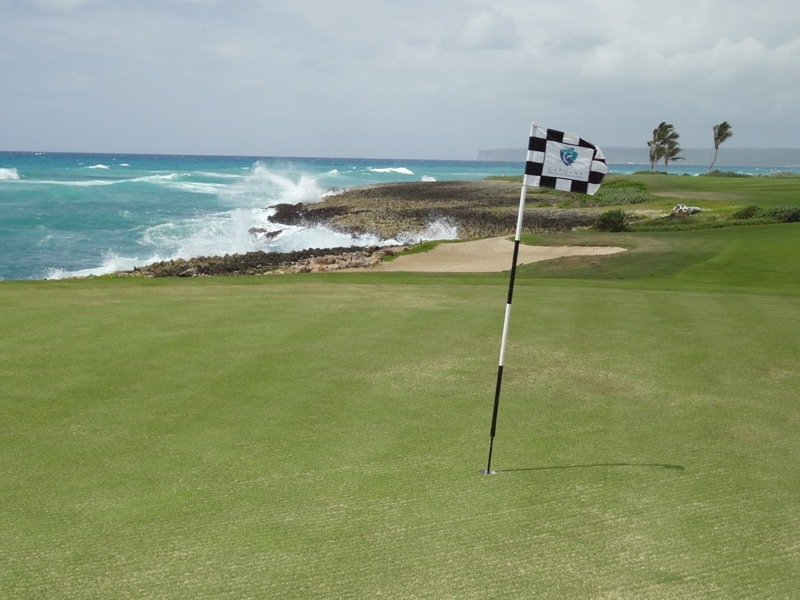 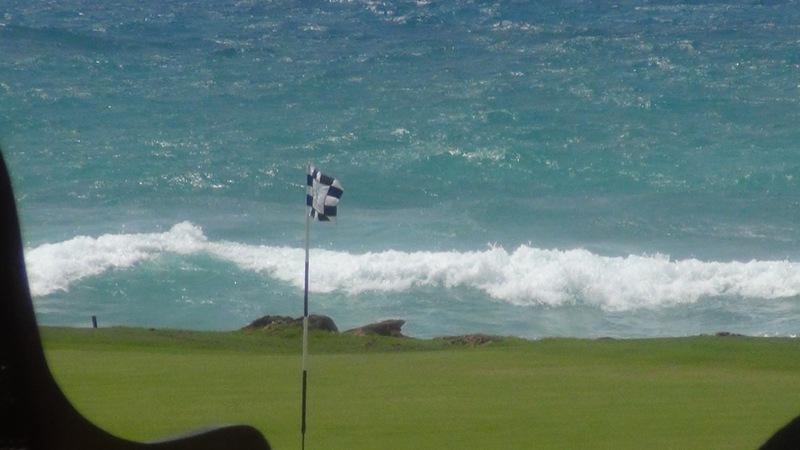 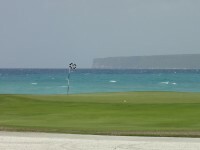 The course crashes so spectacularly with the Caribbean Sea that it’s almost indescribable. 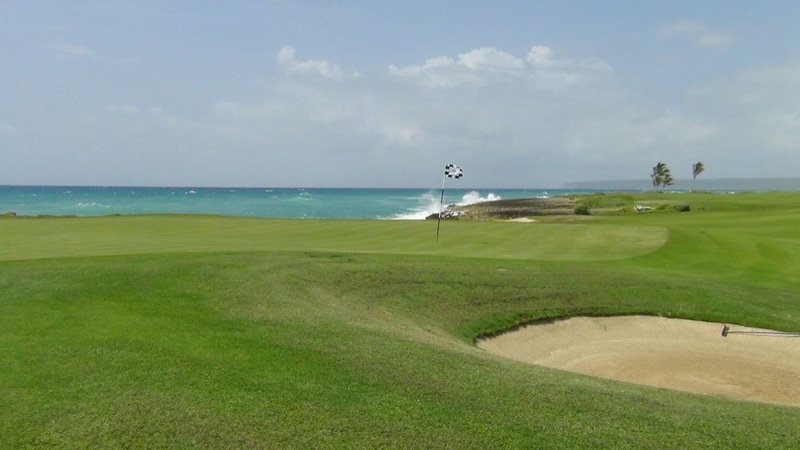 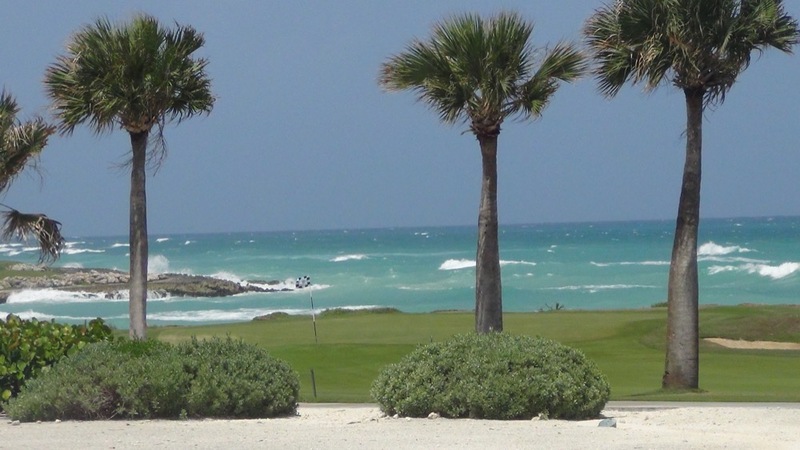 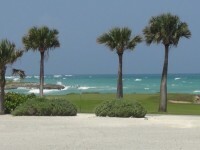 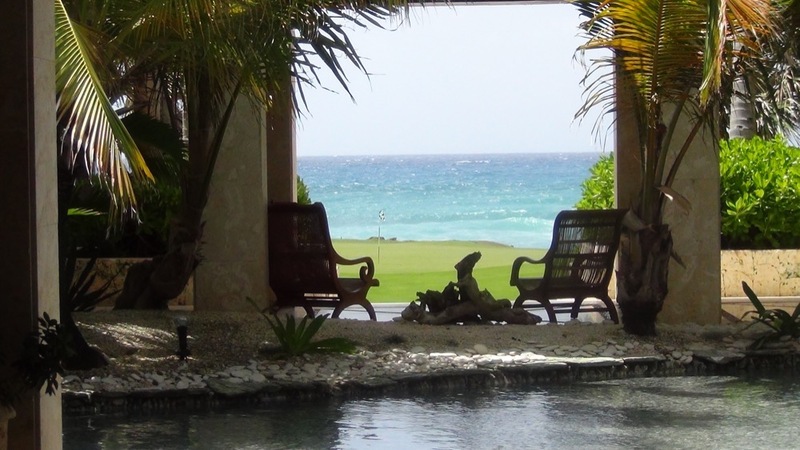 Here at Punta Espada, the normally-calm Caribbean really comes to life and the sight of the perfectly blue-green Caribbean’s rising waves splashing against the rocks easily calls to mind the 18th at Pebble. 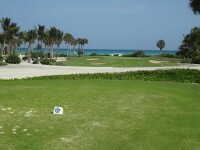 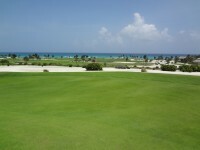 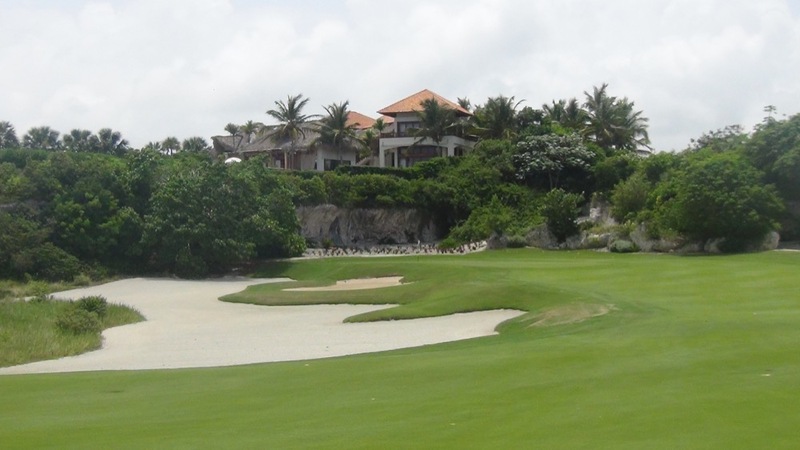 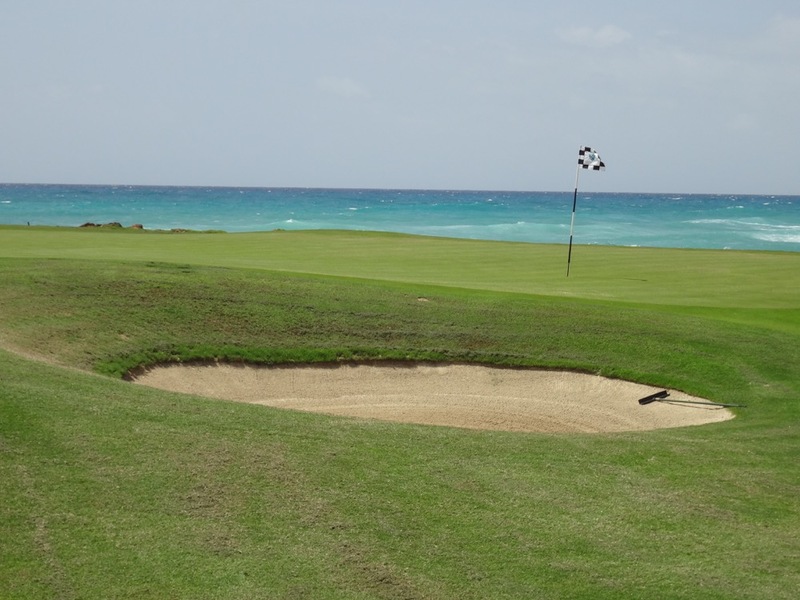 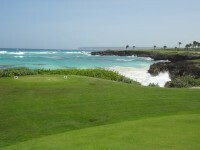 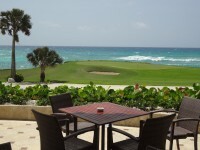 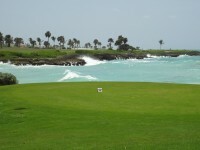 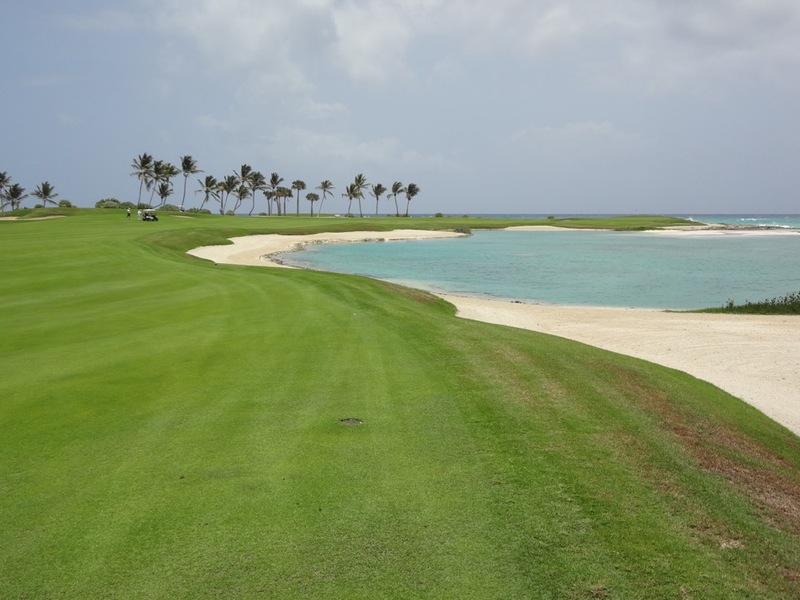 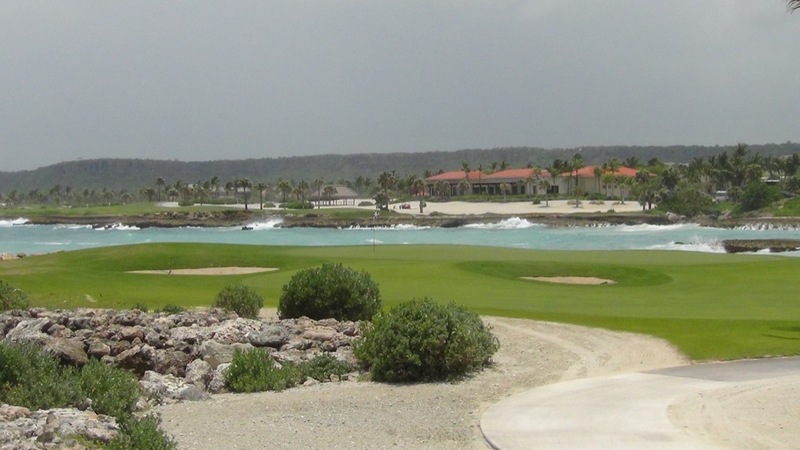 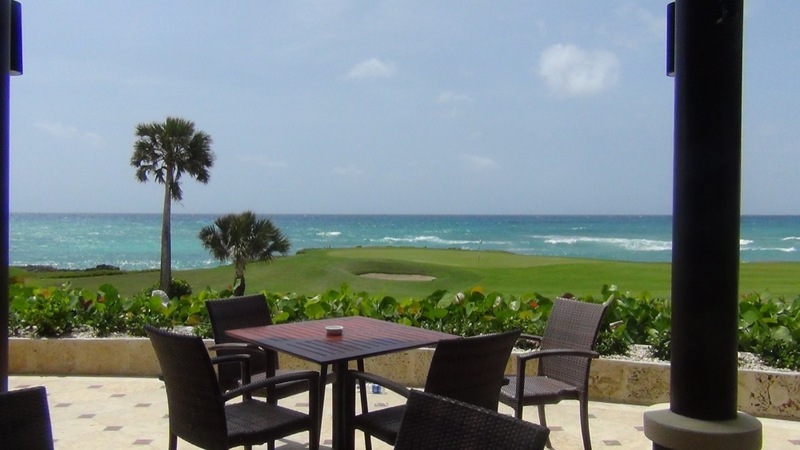 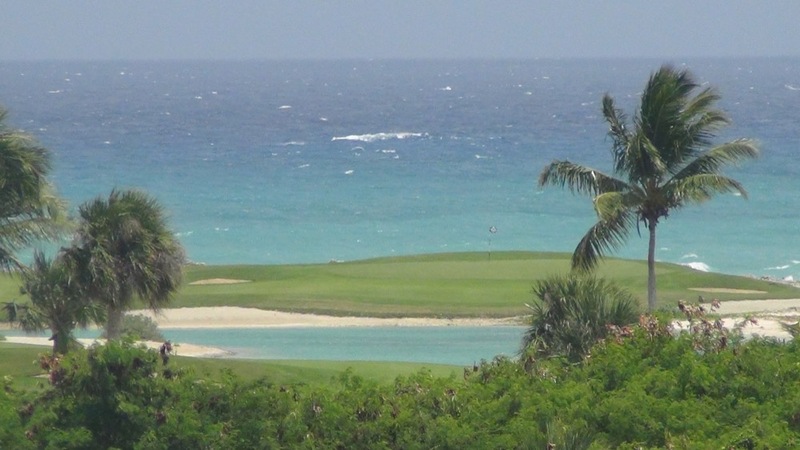 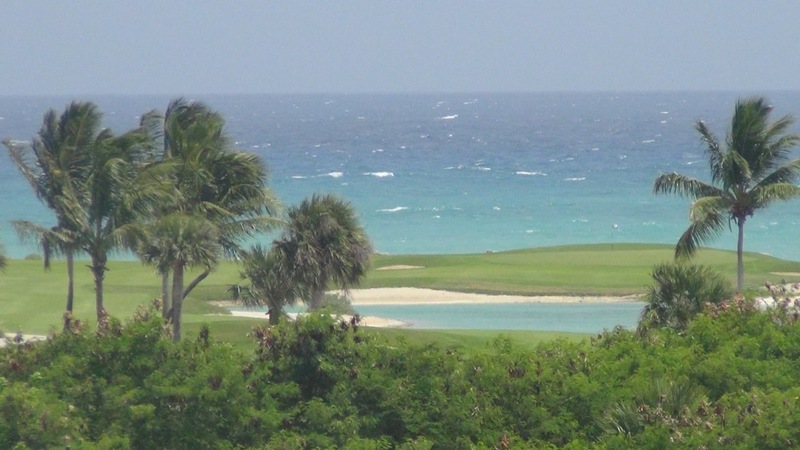 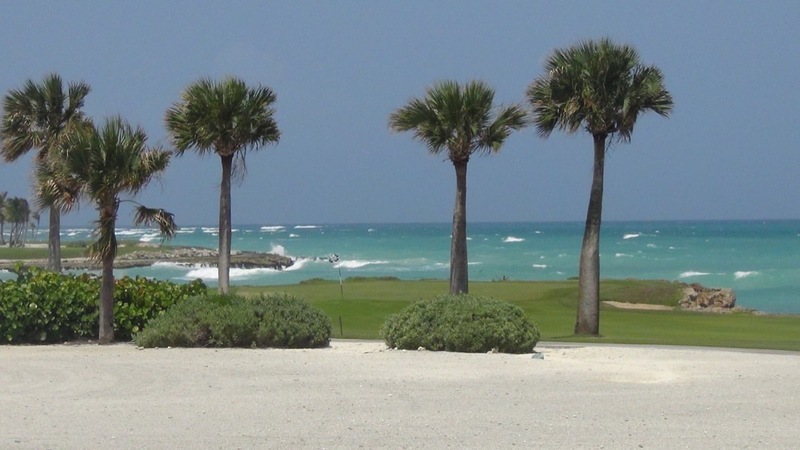 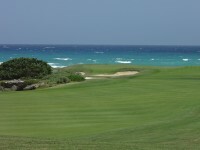 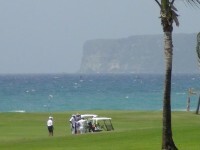 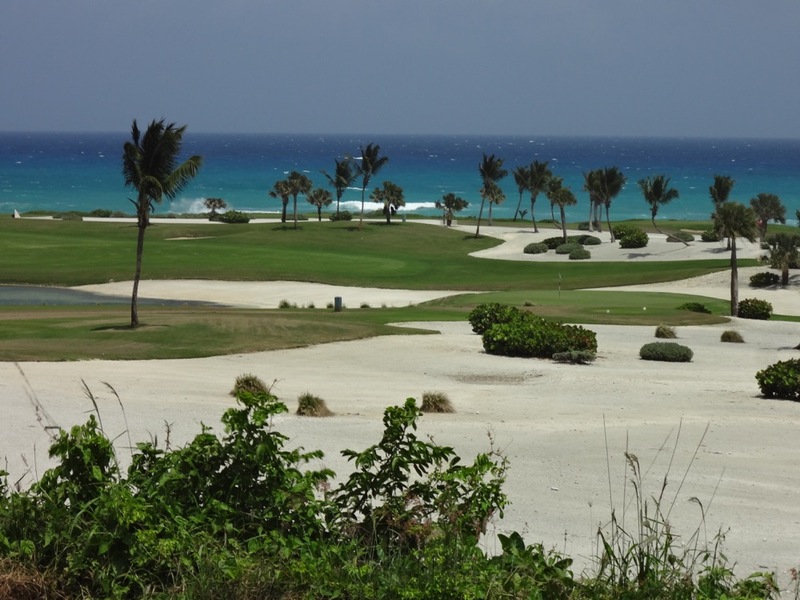 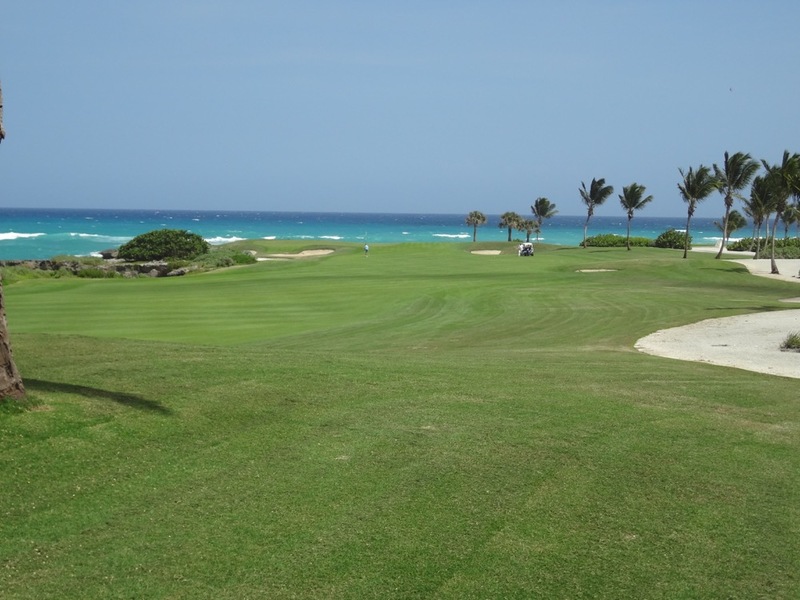 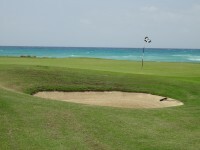 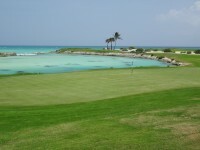 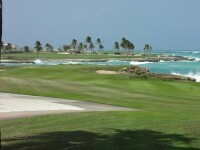 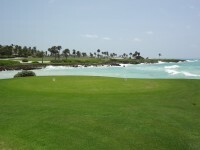 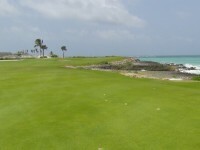 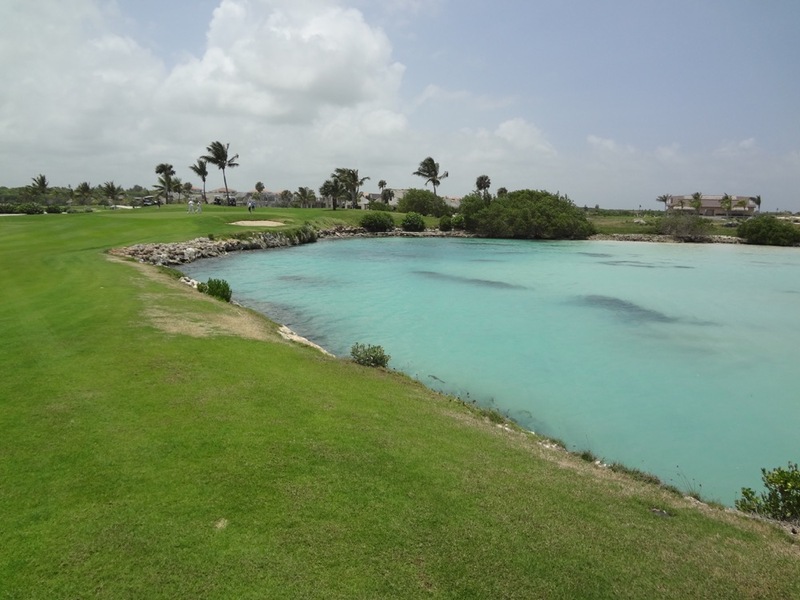 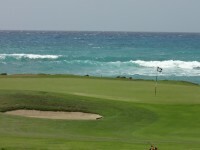 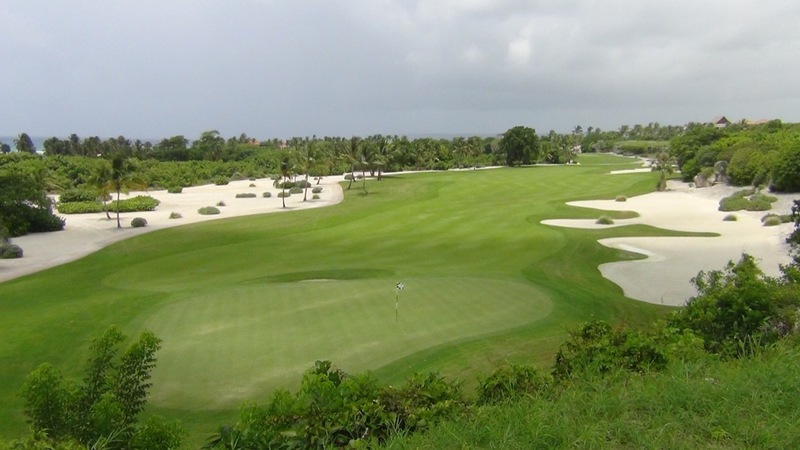 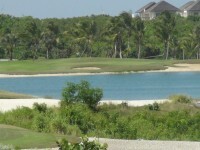 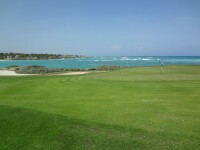 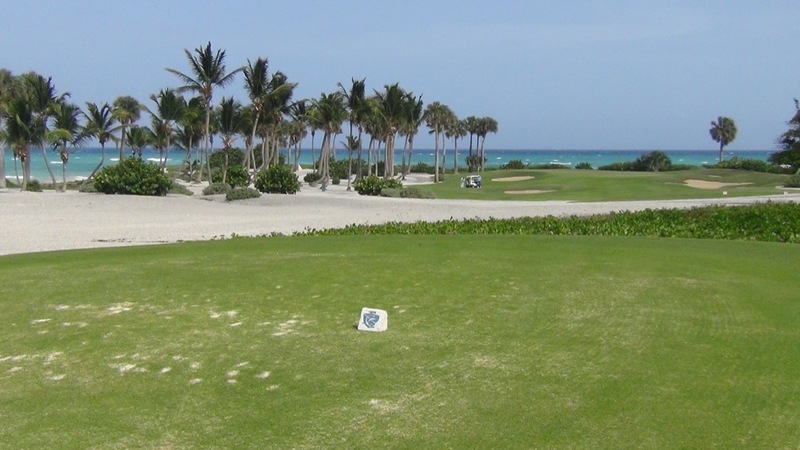 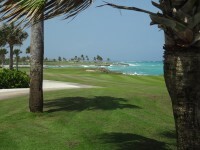 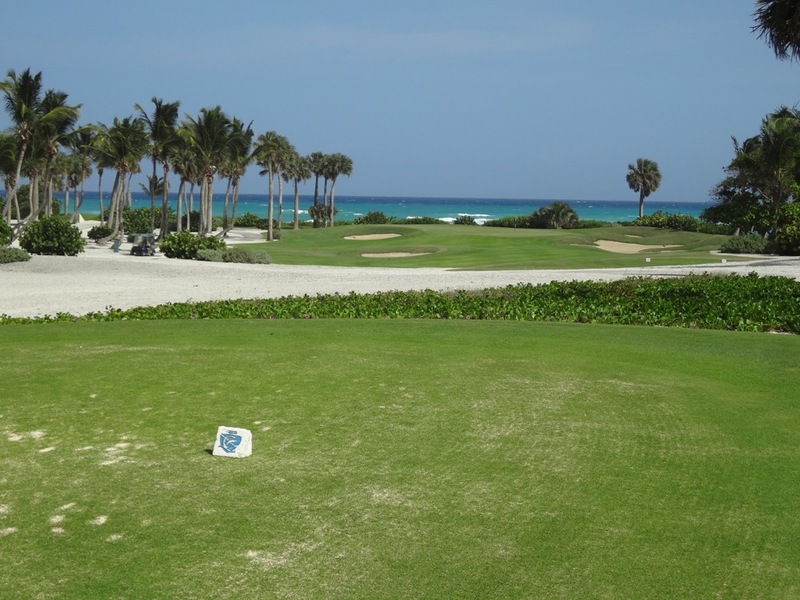 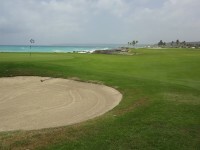 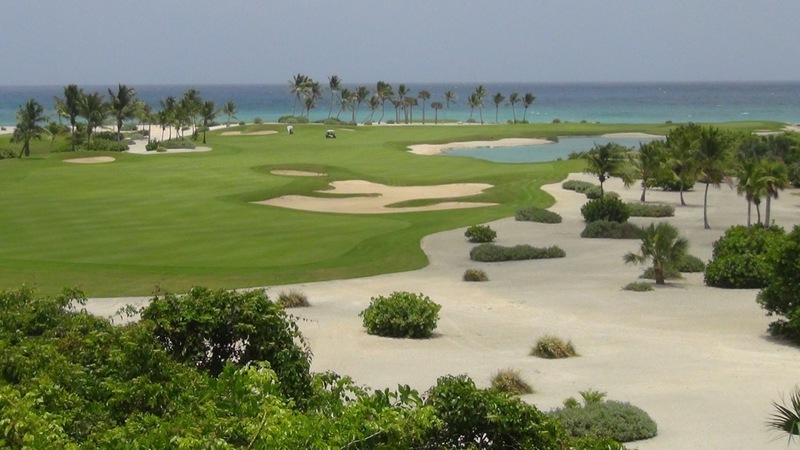 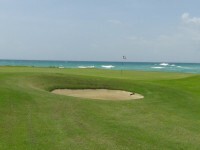 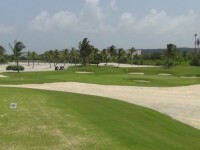 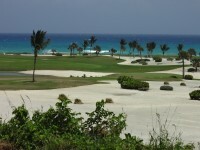 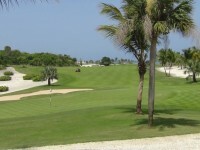 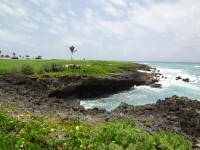 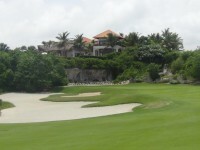 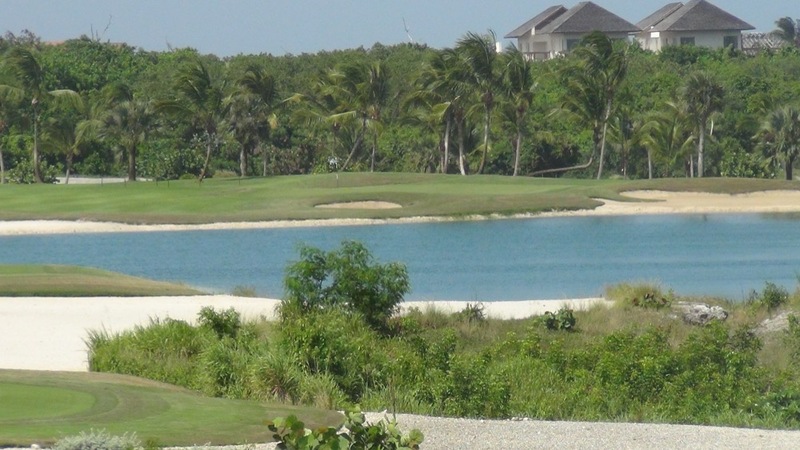 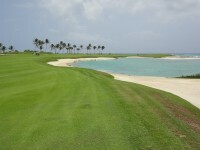 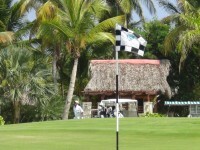 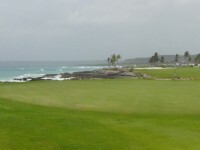 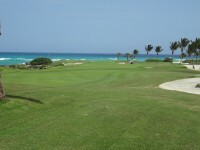 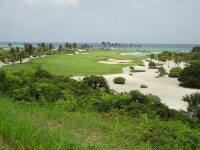 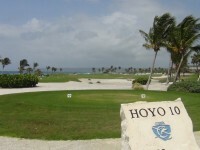 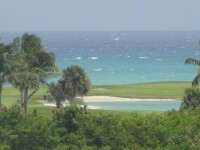 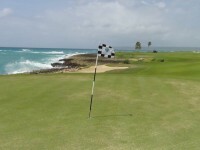 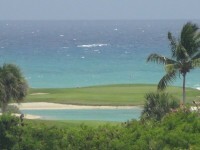 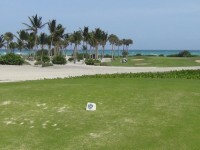 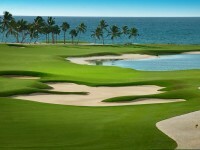 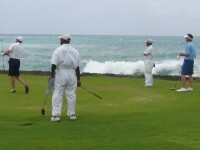 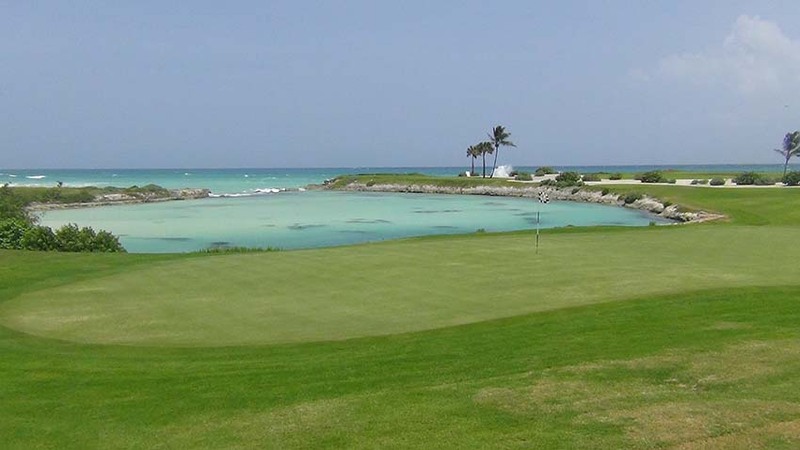 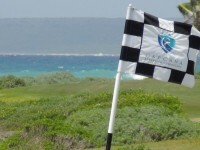 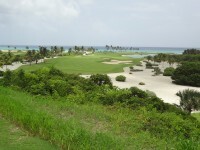 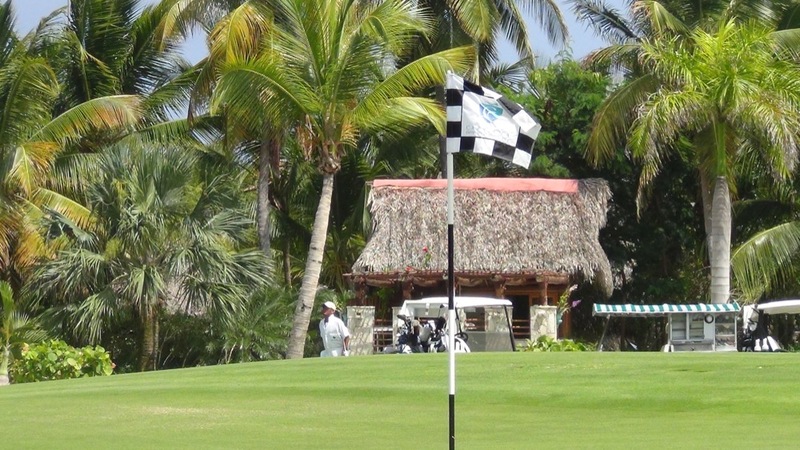 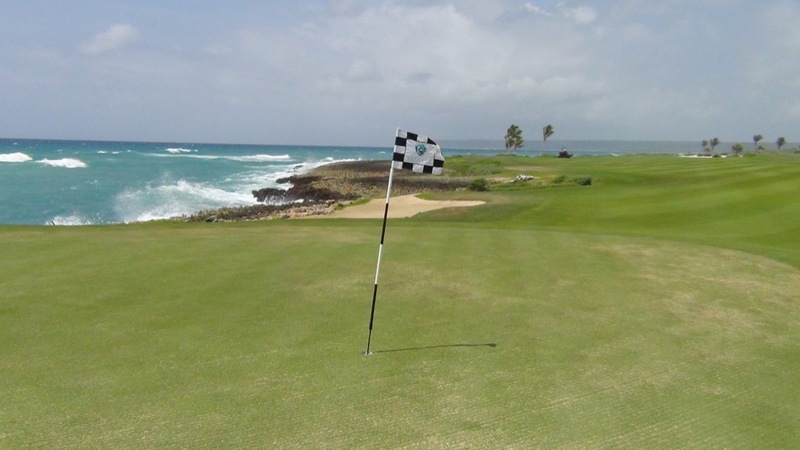 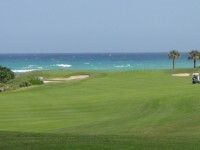 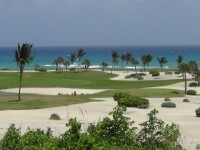 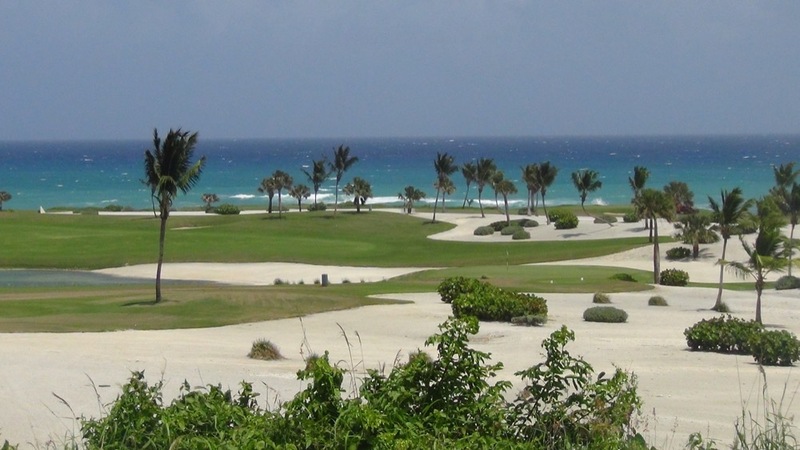 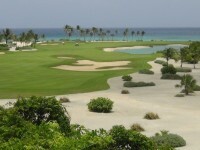 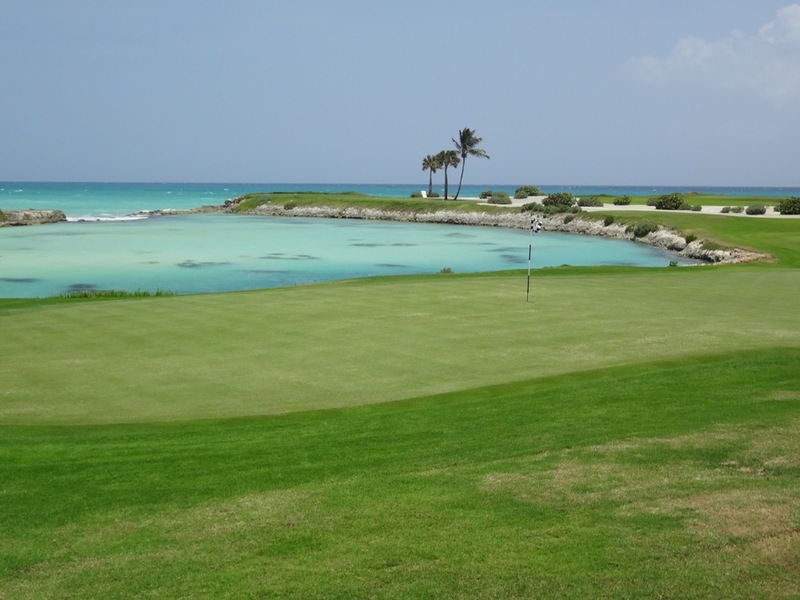 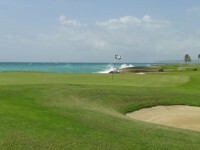 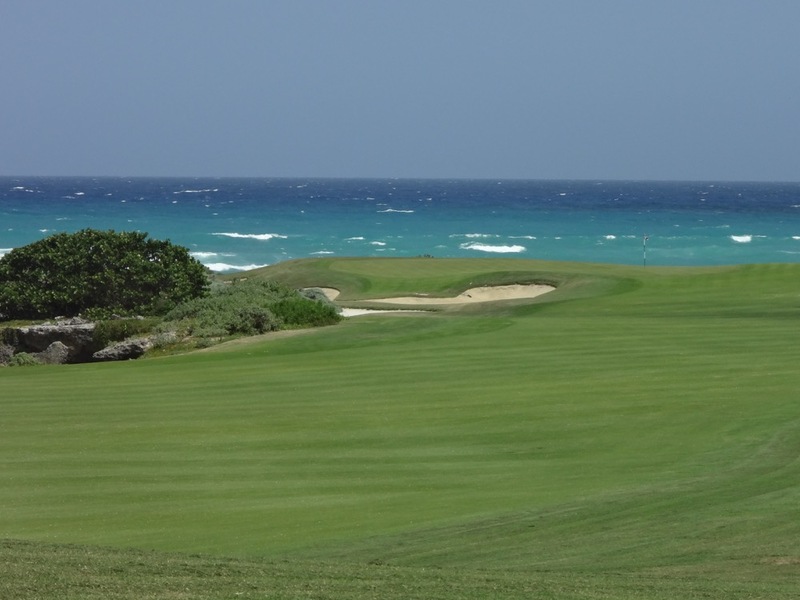 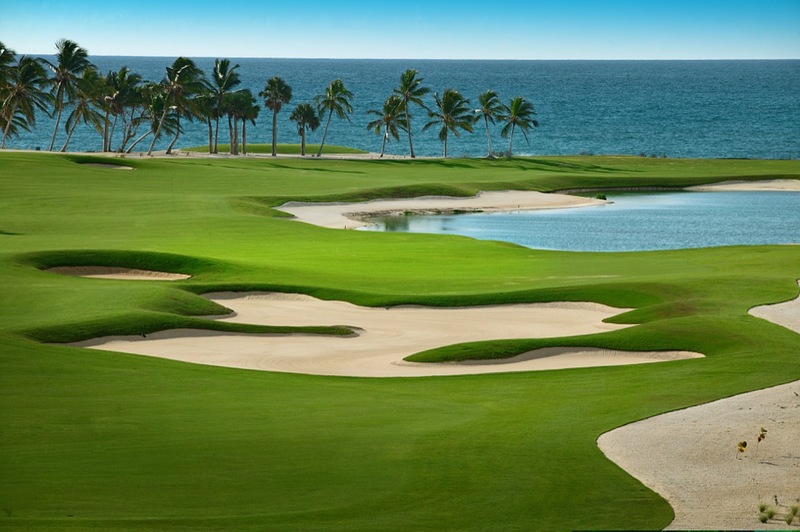 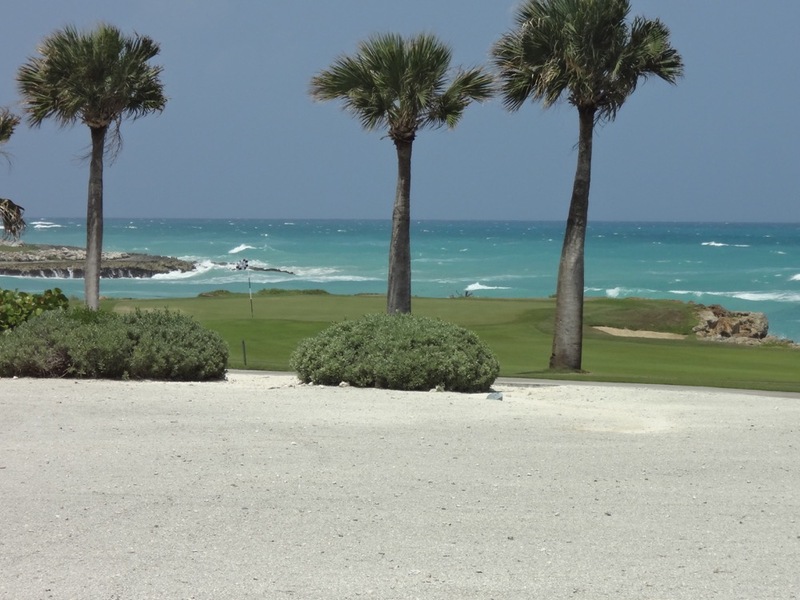 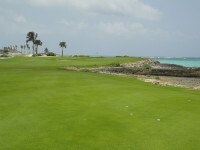 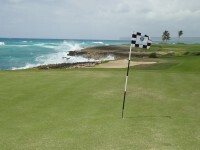 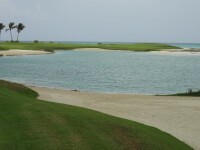 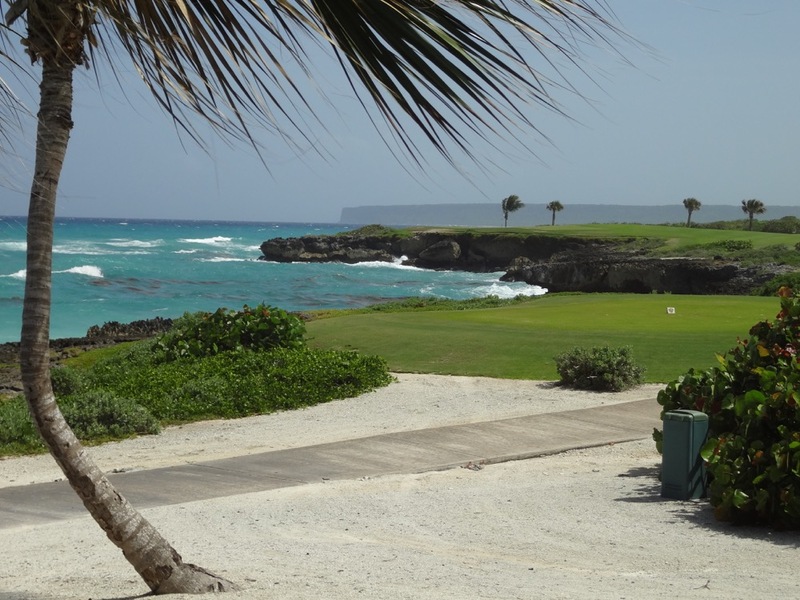 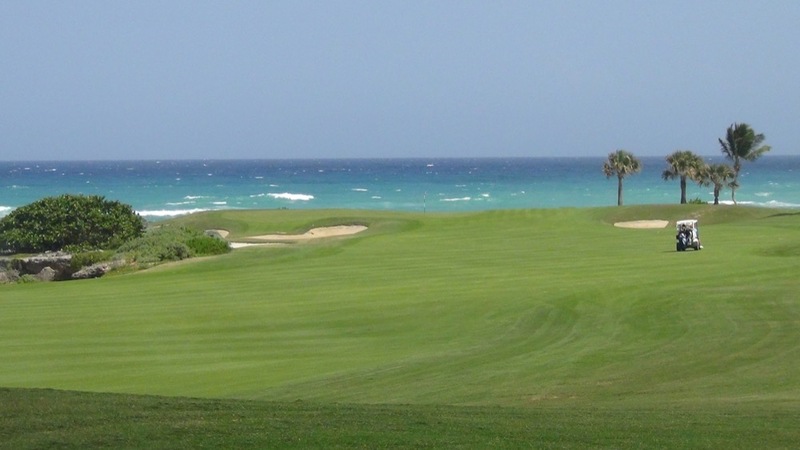 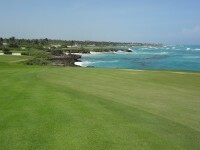 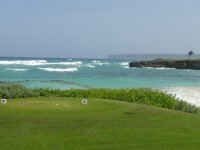 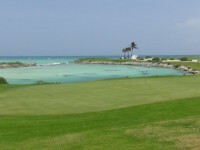 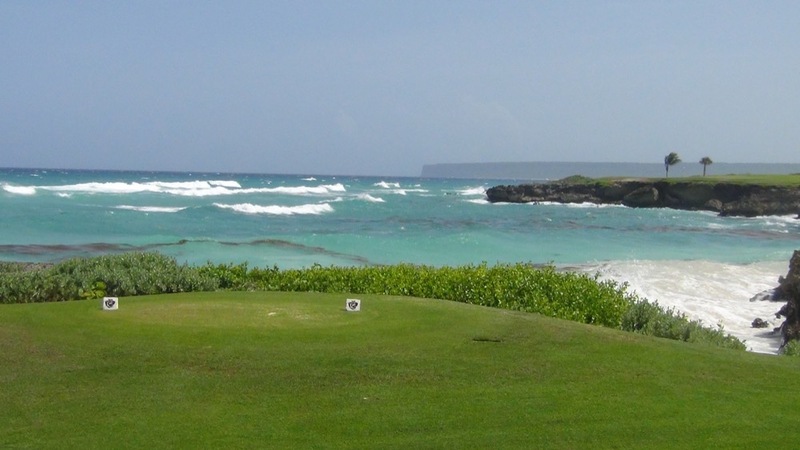 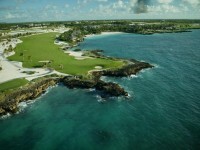 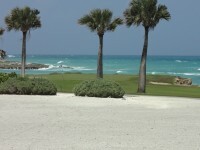 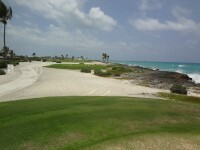 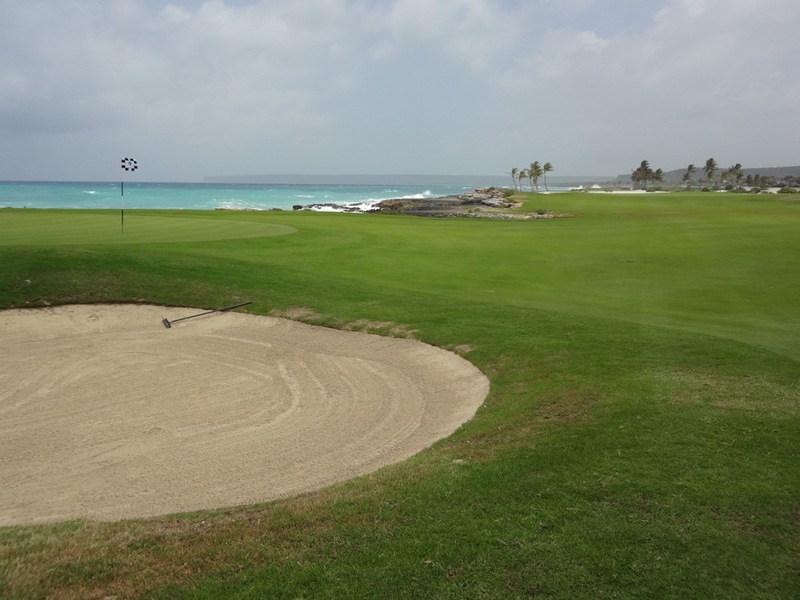 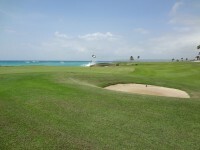 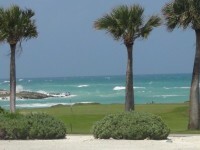 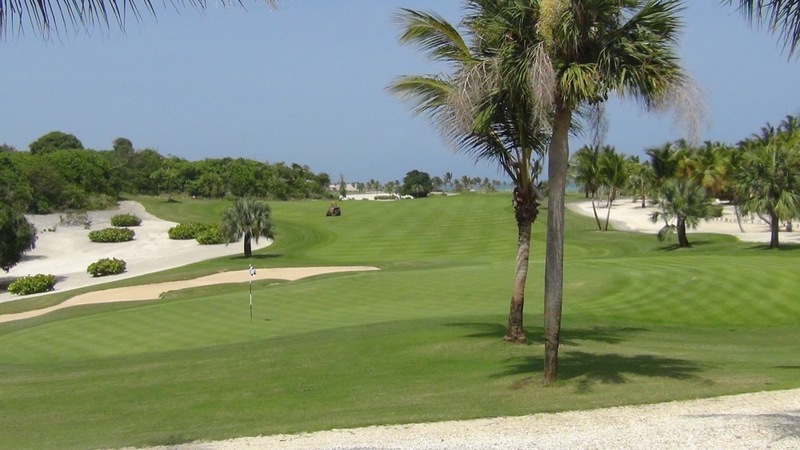 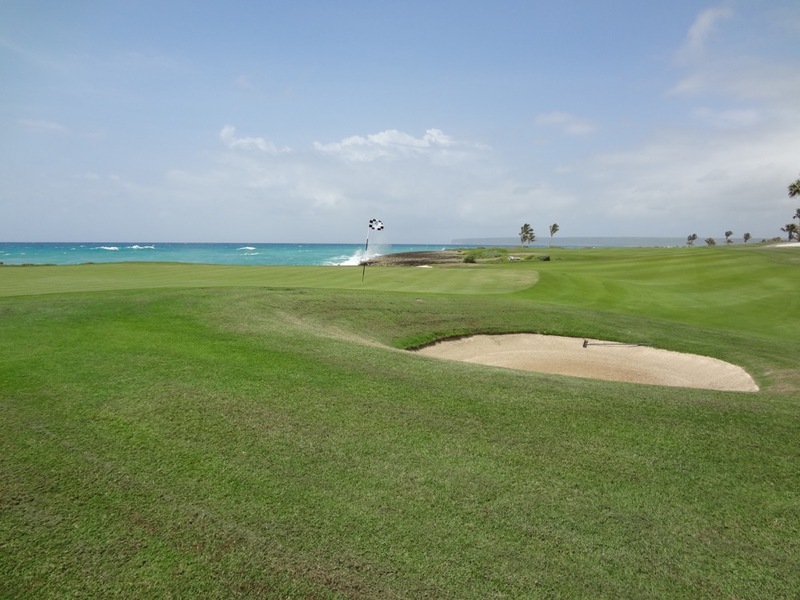 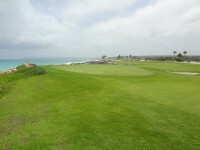 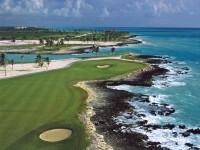 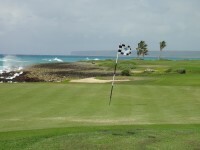 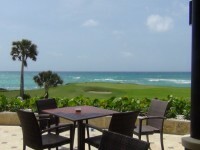 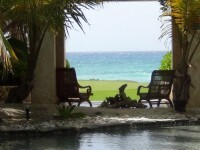 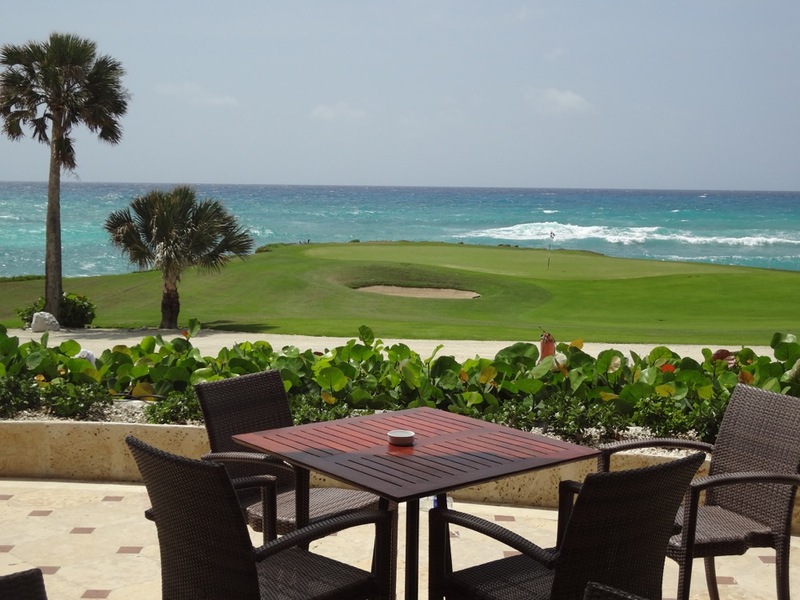 Punta Espada Golf Club has so many signature holes that it’s not fair to single out just one. 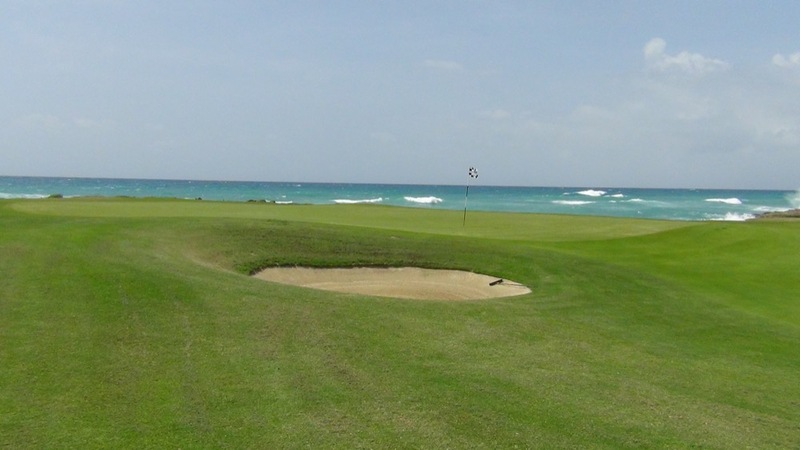 The first candidate is undoubtably the 3rd hole, a long par 5 that plays directly out to the Caribbean Sea to a green surrounded by the ocean on three sides. 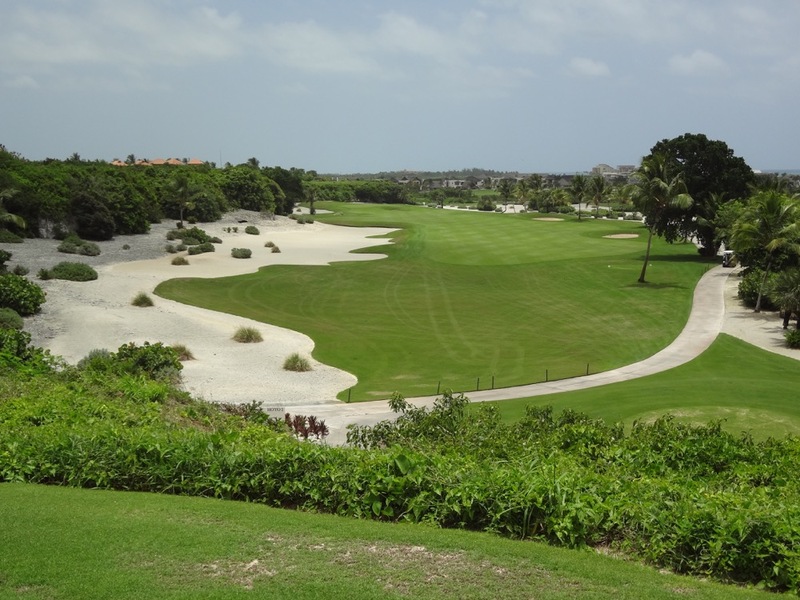 It’s at the least one of the signature views at Punta Espada Golf Club and a favorite of many of the locals who play here. 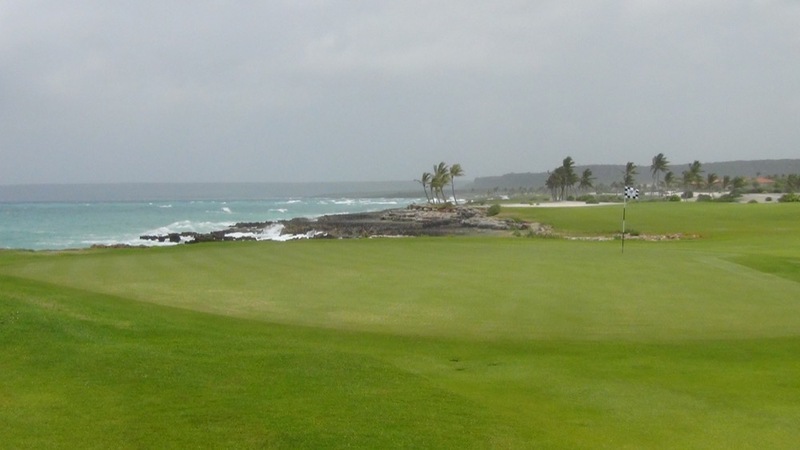 Our favorite though has to be the par-3 13th. 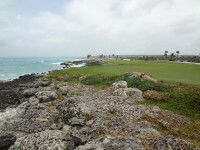 This hole could make the 16th at Cypress Point blush especially from the tiny back tee. 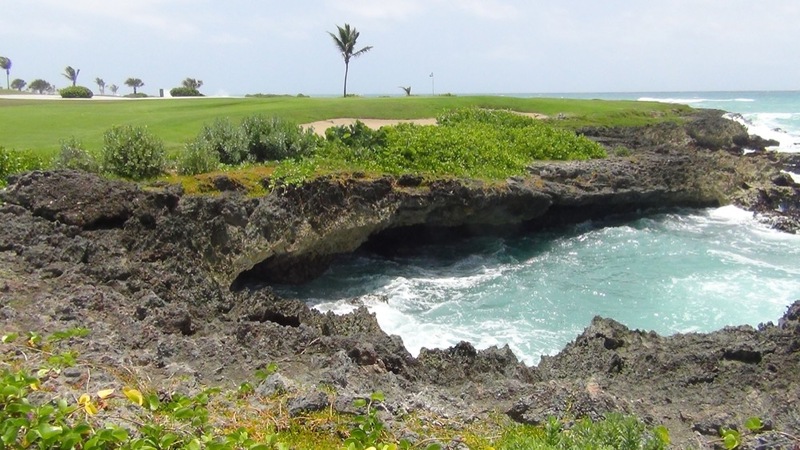 Imagine, a long par-3 not only over the ocean but “all-carry” and not over just a little snorkeling area, this one is over deep water! 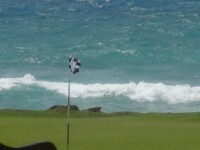 The green is about 30 feet above the water and anything short crashes into the cliffs and falls to the depths. 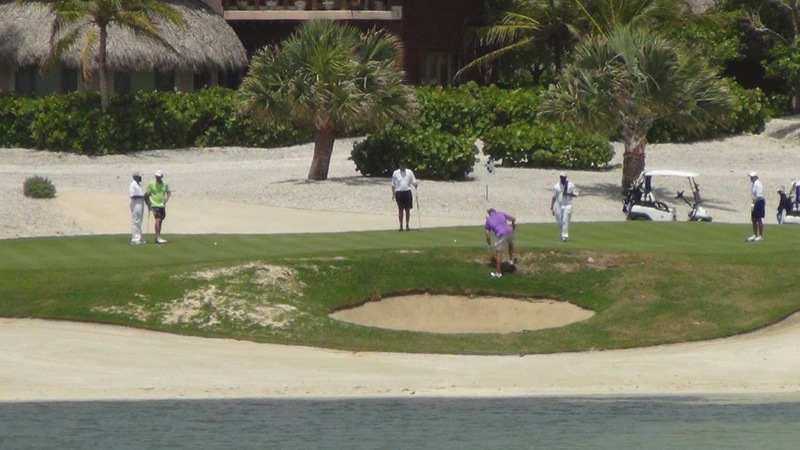 Imagine even farther that you may well need your driver in order to get it there! 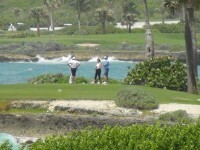 It’s 250 yards from the tips. These two holes are just a taste and if they sound intimidating don’t worry, Punta Espada Golf Club has a great caddie program and you will be guided professionally on your way around it. 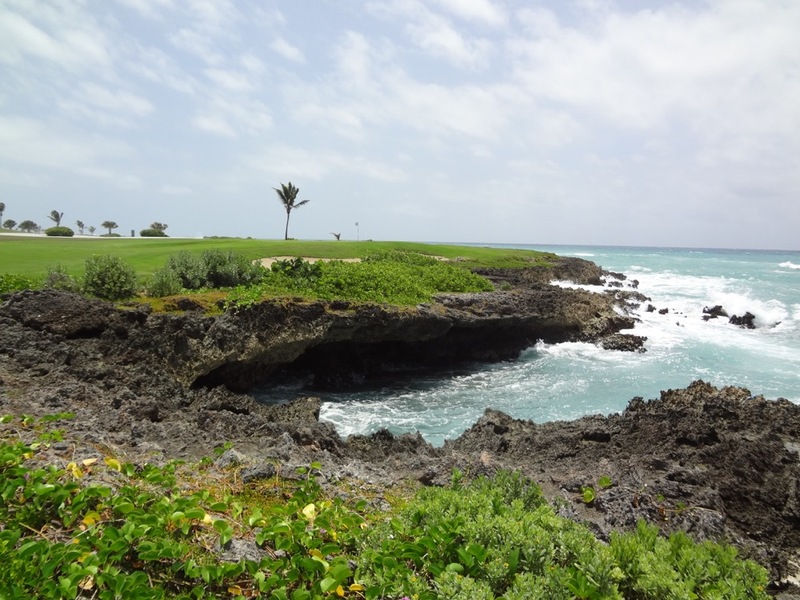 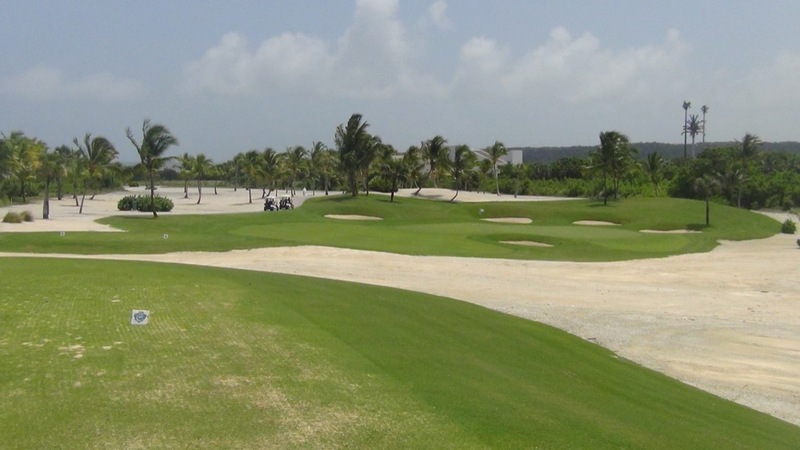 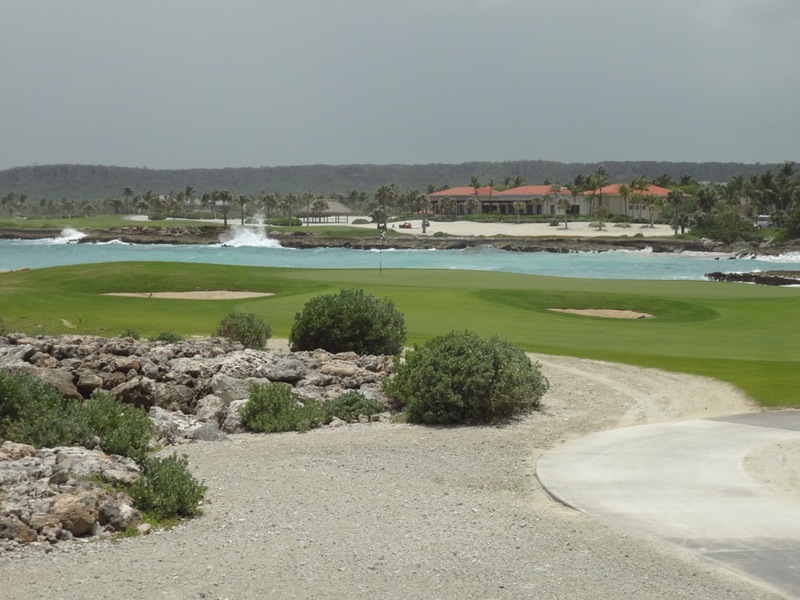 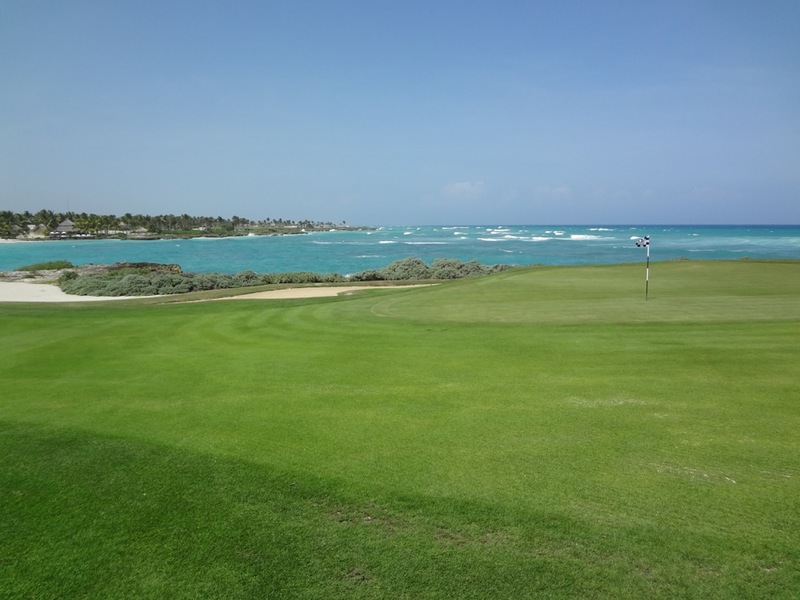 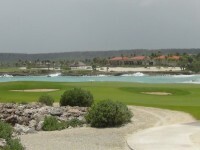 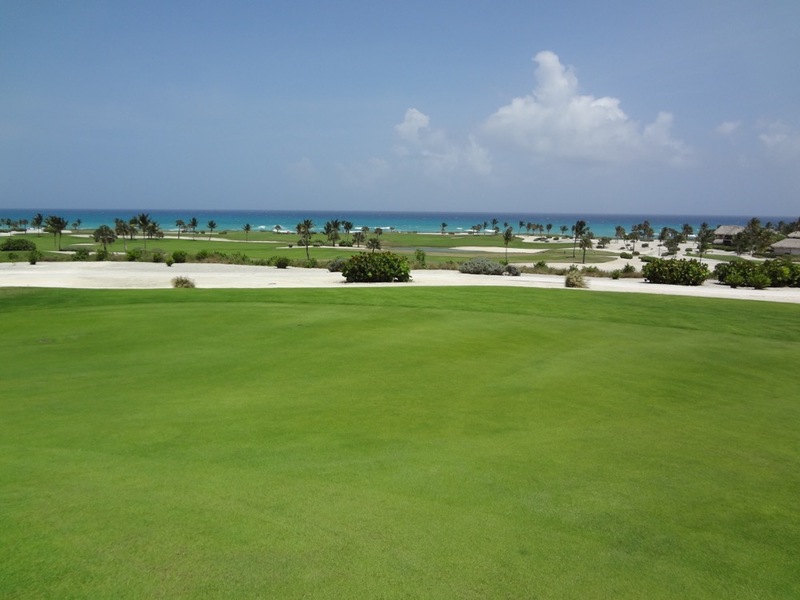 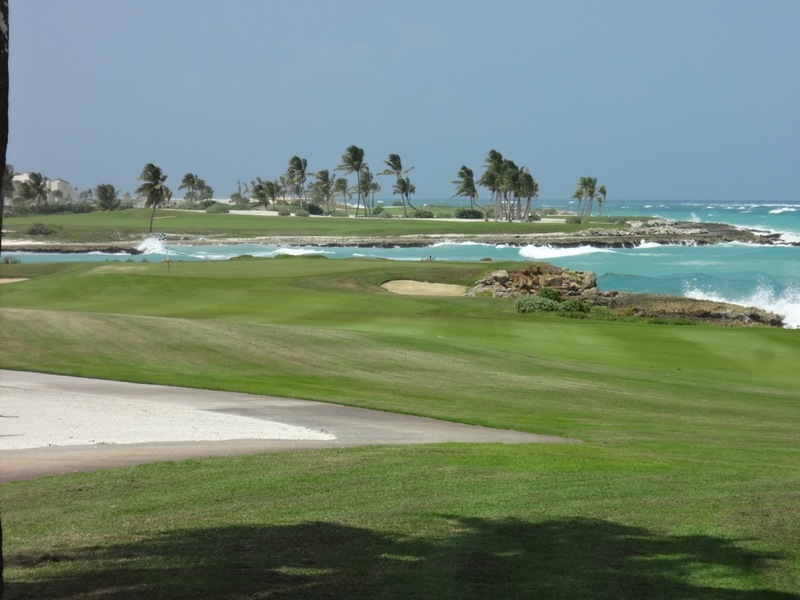 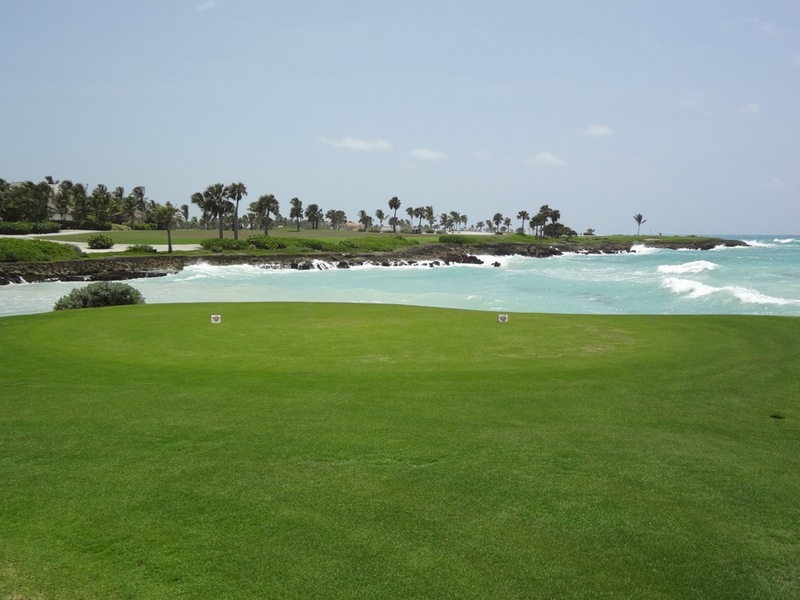 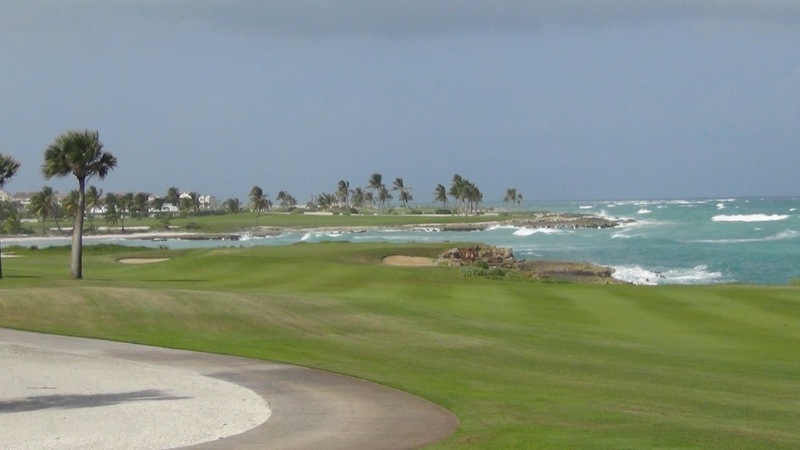 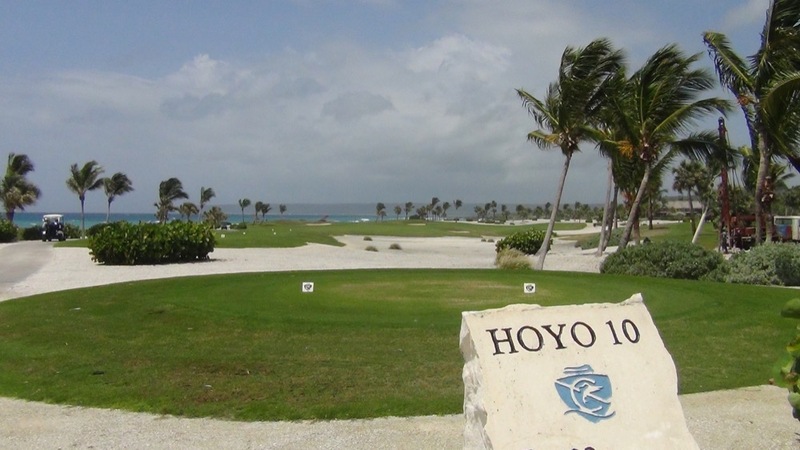 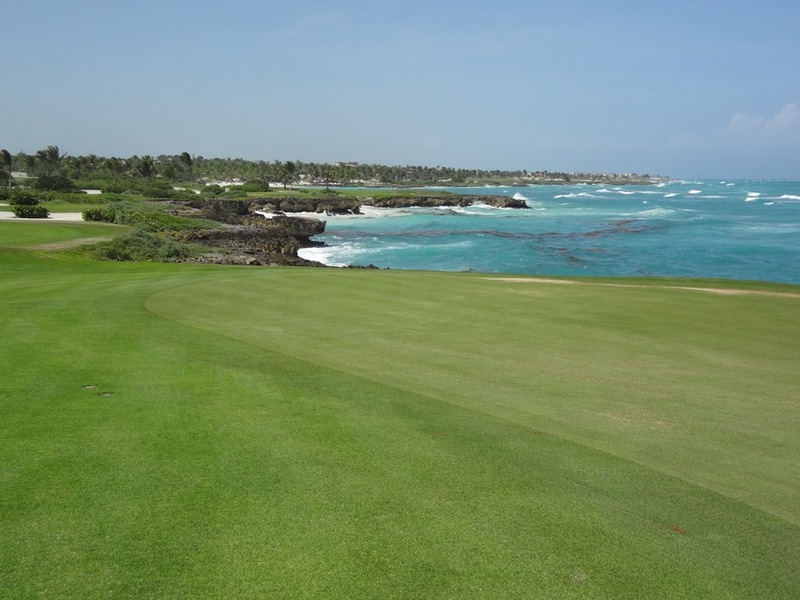 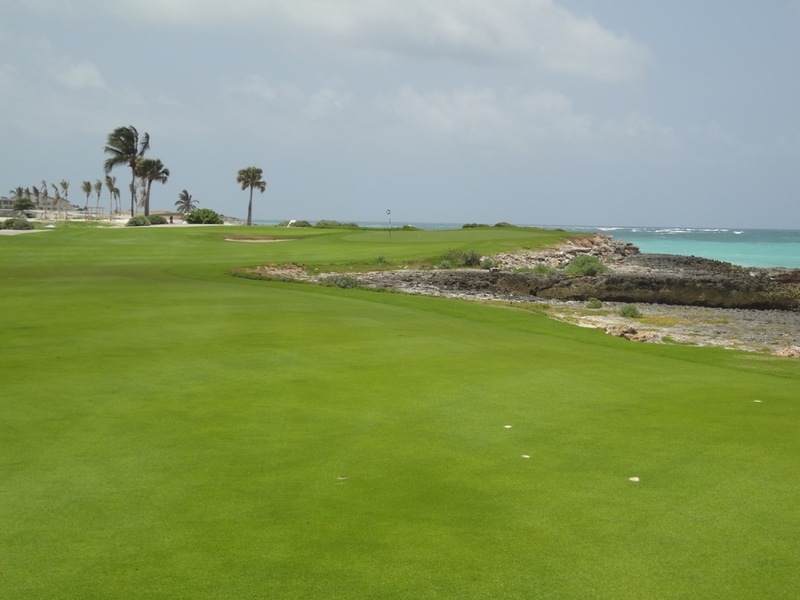 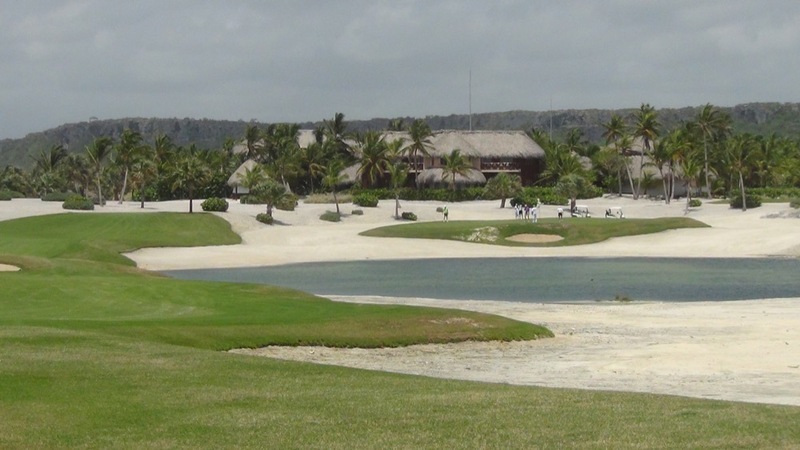 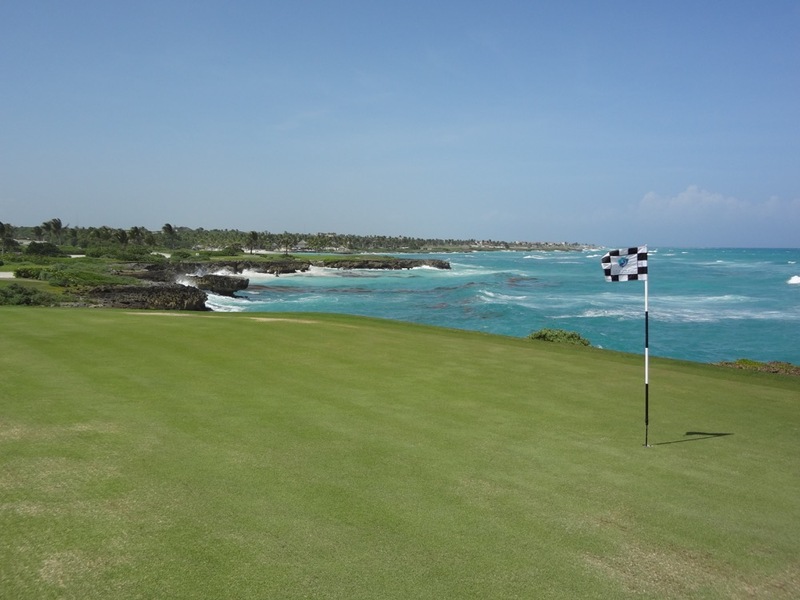 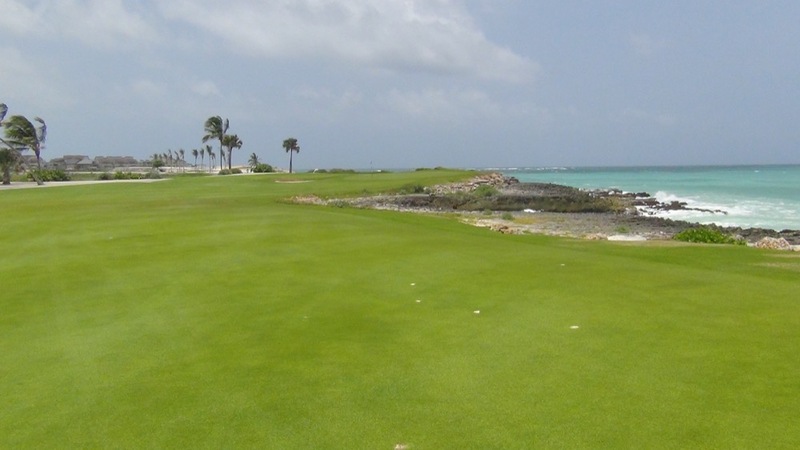 Jack Nicklaus said that “nowhere else in the world will there be a golf experience like this” and that comment about Punta Espada Golf Club at Cap Cana Resort certainly turned out to be accurate!